Back in the mid-1990's, we noticed that there really weren't any haunted house websites that focused specifically on the state of Illinois. While there were a few national haunted house directories, we found that they didn't have many Illinois listings and the listings that they did have, more often than not, had information that was old and out of date. 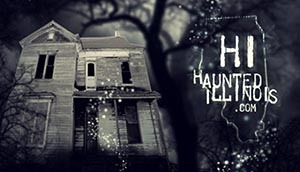 HauntedIllinois.com was created, in order to provide visitors with current information about Halloween and Haunted Attractions throughout the state of Illinois. I only see features dating back to 2016. Where is your older content? To meet the rising demand for mobile-friendly content, we created this mobile-friendly version of the site in 2016. To see content that was created prior to 2016, visit our desktop site: https://www.hauntedillinois.com/. Where is your haunted house located? What are your hours and dates of operation? HauntedIllinois.com is not a haunted house. No one involved with running the website owns or is employed by a haunted attraction. This website promotes all Halloween events within the state of Illinois. If you have a question for a specific attraction, please contact them directly, using the contact information in their event listing. Is running this website your full time job? No. The webmaster of HauntedIllinois.com and support staff all have full time jobs that are not Halloween-related. This website is run by a small team of Halloween enthusiasts and is updated as time permits. How do I get my website added to one of your links pages? If you have a website with related content, we could do a link trade. To get your website added to a HauntedIllinois.com link page, the following simple guidelines must be followed. Your website must be Halloween, Haunted House, Horror or Paranormal-related. The content of your website must not be obscene, lewd, sexually explicit or contain other inappropriate subject matter. You must add a link to Haunted Illinois (https://www.hauntedillinois.com) somewhere on your website that is easily accessible from your home page. After adding the Haunted Illinois link on your site, send the webmaster an email with the title of your website, the URL you wish us to link to, the category you would like it listed under, as well as a short description of the website (less than 255 characters, please). Also specify the URL where you have added the Haunted Illinois link. Click here to submit your link suggestion. After checking to make sure that the site is appropriate for inclusion on HauntedIllinois.com, it will be added to the requested category. I submitted a link suggestion recently. Why wasn't it added to your links page(s)? Have you followed the guidelines listed in the question above? Haunted Illinois only links to sites with similar content. If your website is not directly related to Halloween, horror, haunted houses, the paranormal, or if the content is deemed inappropriate by Haunted Illinois staff, it will not be added to our links pages. (examples of websites we won't link to: job hunting site, web SEO, Russian mail-order brides, Viagra / prescription drug sales, etc. ). What are the trick-or-treating hours for the city/town/village of "xyz"? All of the trick-or-treat dates and times that we know about are listed on the Trick-or-Treating Hours page. If it's not listed on that page, then we don't know. As new trick-or-treating dates/hours are submitted by visitors of this site, they will be added to the Trick-or-Treating Hours page. How do I submit the trick-or-treating hours for my community? Follow the submission link at the top of the Trick-or-Treating Hours page. Before submitting, please check first, to verify that your city/town/village isn't already listed on the page. I sent you an email last week. Why haven't you replied? Haunted Illinois' staff tries to address all of the emails that we receive; however, due to our heavy workload, we may not be able to reply to every one in a timely manner. We are currently accepting applications for our Official Haunted House Review Team, which reviews commercial haunted attractions. We are also looking for paranormal writers, to submit ghost stories and paranormal reviews for our "Real Haunted Places" section. If you would be interested in either of these opportunities, please send an email to the webmaster. Does your website have any paranormal content? How do I submit information about my paranormal group/business to your paranormal directories? Can I submit ghost stories to your website? Yes. If you are interested in submitting ghost stories or paranormal investigation reviews for consideration for our "Ghost Stories & Reviews of Real Haunted Places" page, send an email to the webmaster. That's not an easy question to answer. Illinois has a lot of haunted places with various levels of supernatural activity, so it's not really possible to choose just one as the "most haunted". Where is the multi-level haunted house, where you can get your money back if you can't make it through? Unfortunately, this haunted attraction doesn't exist. It is an urban legend that has been passed around for several decades. For more information, visit the links below. Are there any haunted attractions located in the city/town/village of "xyz"? All of the haunted attractions that we know about are listed in the Halloween Event Directory. How do I submit reviews of haunted attractions to your site? You can submit haunted attraction reviews and read others' event reviews on the Visitor Review page. HauntedIllinois.com starts accepting visitor reviews on October 1st of each year. I submitted a haunted attraction review to your site a few days ago. Why hasn't it been added to the visitor reviews page? The staff of Haunted Illinois reads every review carefully, to make sure they are appropriate to add to the site. Haunted Illinois is a family-friendly website. If your review was mean-spirited, contained profanity, slanderous comments or contained content that could be viewed as inappropriate, it will not be posted online. Each review is manually screened and approved. During the month of October the staff of HauntedIllinois.com is very busy updating the website and visiting Illinois Haunted Attractions. Because we are so busy, it may take up to one week for your review to be approved. If you believe that you have sent an appropriate review and it has been 7 days since you submitted it, yet it still hasn't been posted online, click here to send us a reminder email. Be sure to include the name of the event you reviewed and your user name in the email. I recently tried voting for my favorite haunted attraction. Why aren't my votes being counted? Only one vote is allowed, per person. In order for your vote to count, you must click on the confirmation hyperlink in the email that Haunted Illinois sends you. If you did not receive an email after 24 hours, try checking your spam folder. If the email isn't in your spam folder, click here to send the webmaster an email. How do I submit my haunted attraction to your event directory? All you have to do is fill out the online form here: Halloween Event Submission Form. My haunted attraction isn't in Illinois. Can it be listed in your Halloween Event Directory? Sorry, but due to the amount of maintenance that would be required to include out-of-state haunted attractions, Haunted Illinois can only list Illinois events in the Halloween Event Directory. If you would like to be included in the "Out-Of-State Haunted Houses" link page, please send an email to the webmaster. I submitted my event information days ago. Why hasn't my event been added to your directory? Your event may already be listed in the directory (duplicate submissions are ignored). To check and see if your event is already listed, use our handy search tool. There is already an event in our directory at that address. Haunted Illinois has a limit of one listing per venue/address. If you are hosting multiple events at the same location (example: a farm that has a haunted house, hayride, pumpkin patch, apple orchard, etc), please do NOT submit individual listings for each attraction. Please consolidate all events into a single listing, then submit here. Your event submission contained inappropriate content. Your event is not located in Illinois. You submitted all or some of your listing in "CAPS". Now that my event is listed in the haunt directory, how do I make changes to my information? To make changes to an existing Haunted Attraction listing, please send us an email including the name of the event, the city and a specific list of changes that you wish us to make. Click here to send us your changes. I don't like a visitor review that has been posted. What can I do about it? If you think that a visitor review contains inappropriate content, send an email to the webmaster. Can HauntedIllinois.com come out and visit our haunted attraction? We take every invitation into consideration, when planning which haunted attractions will be visited during October. Depending on our workload, your location, density of attractions in your area and various other factors, we may or may not be able to accommodate your request. The staff of Haunted Illinois usually starts planning the official visit schedule several weeks prior the Halloween season and we use the listings in the Halloween Event Directory to plan which events that we will go to. Submitting your attraction to our directory early, along with sending us an email may increase the likelyhood of a visit. Please be patient, as we receive many visit requests every year. Last week you went through our haunted attraction. Why haven't you posted a review? Due to our heavy workload during October, reviews may take at least a week to post. Also, due to circumstances beyond our control, Haunted Illinois staff may not always be able to write a review for every event that we visit. Please be aware that a visit from HauntedIllinois.com staff does not guarantee that a review will be posted online. Did we answer your question? If your specific question was not listed on this page, click here to send the webmaster an email.